If you or one of your clients had a great experience with one of our apps or a device, we'd love to hear from you! 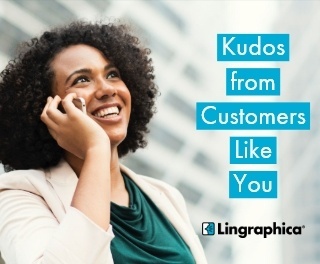 In fact, if you have a story you'd like to tell about the progress one of your clients has made with the help of one of Lingraphica's products, we want to share it. Just click the button below to fill out a short form, and someone from our marketing department will contact you to get all the exciting details. Your story may give someone else HOPE...please share it!